As a compliance consultant one of the areas where HR mistakes show up is in dealing with immigration, the infamous I-9. This is a form where every “I” needs to be dotted, every “t” crossed and every appropriate line filled in. Here are some of the mistakes that are pretty common. According to an article published on the SHRM website the USCIS (United States Citizenship and Immigration Service) will most likely issue an interim form with nothing but a changed expiration date on it. However, as of this writing that form had not yet been issued. But keeping checking for the new form by looking here and when you see an expiration date later than 8/31/2012 make sure you download it and use it from that point forward, at least until they issue a new one. The USCIS has solicited comments for a new form, according to the article, so those of you who read the Federal Register on a regular basis (snicker) will see it before the rest of us. Most likely they will add some lines, or require different ID, or some other thing to make our HR lives all that much more difficult. When I audit files I find many, many forms that have not been completed in the requisite three days after employment commences. The law requires that the employee complete their section on their first day of employment and the employer complete their sections no later than the end of the third day of employment. By day four if that documentation has not been completed you are required to terminate that employee. And we all know how often that happens! I know of an HR department that would tell everyone they need to bring their driver’s license and Social Security Card on their first day. You CANNOT specify what documentation the employee needs to produce. There are three lists of documents that will provide the documentation needed to provide employment eligibility. You have to let the employee know what these are and then accept what they offer. Be careful however and do not OVER DOCUMENT. You are prohibited from having documents listed in all three columns. One document from List A is sufficient. If lists B and C are used then one each is sufficient. There are spaces for dates, numbers, signatures, etc. The USCIS wants those blanks completed. Quite often I find that most employers do not complete their section requiring the company name, address and name and signature of the authorized company representative. A note about that signature: The person signing the document is attesting to the fact that they are the one that inspected the documents. If you sign that document without actually having been the one seeing the original documents then you have committed perjury and can be subject to arrest. I am asked many times if there are mistakes on a form if another form should be filled out. The answer is no. You need to correct mistakes on the form by noting to the side “Per self-audit”. If you use another form it may form the perception that a form was not done the first time in the appropriate time. The keys to success in working with I-9s are timing and accuracy. Make sure all the information is completed in the first three days. Make sure the information is correct and in the right places. Check the form and recheck the form. Then store it in a three ring binder for ease of access and not the personnel file. If some official comes in and wants to look at your I-9s you can hand the that notebook and keep them out of your personnel files. 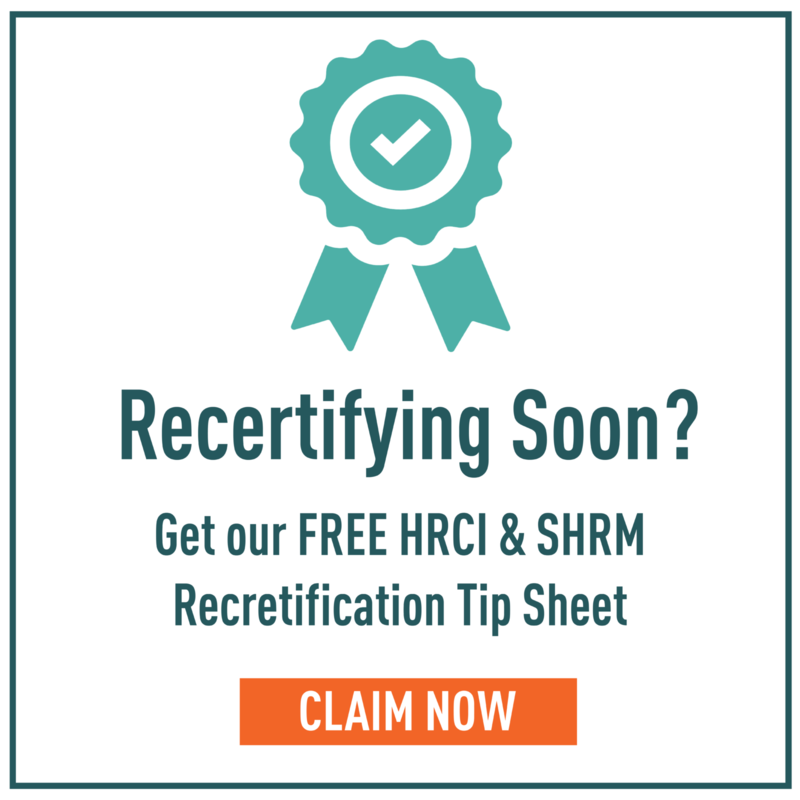 Check out our free HRCI webinar on HR audits including I-9’s and more helpful Human Resource information. This webinar and lots more is always available free and on demand.